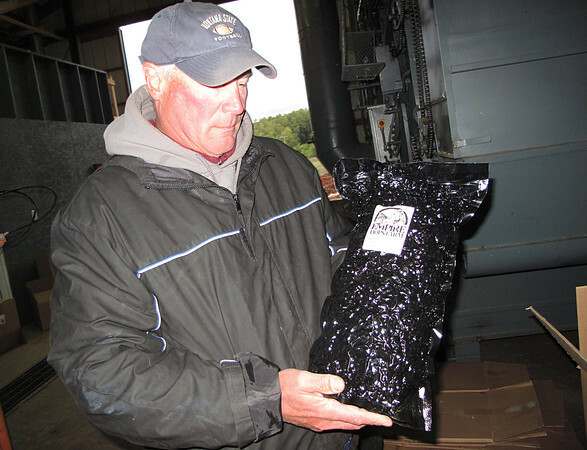 Dan Wiesen holds a bag of hops produced at the Empire Orchards Hops Farm. Wiesen owns the farm with his brother Mike. The men have decided to expand their hops-growing operation significantly because of strong demand from breweries.